Like YHA Scotland. Accomodation in fort william. Near Edinburgh, near Oban, near Glasgow, near Inverness, near Glencoe. Miles away from London. There are hostels in Edinburgh, hostels in Inverness, hostels Oban, hostels Skye, hostel Ben Nevis, hostels Glencoe. But theres no hostel like Chase The Wild Goose Hostel. "Clean, extremely friendly staff, great atmosphere.....There's absolutely nothing to complain about! I'd definitely stay again!" Chase The Wild Goose Hostel accommodation is located on the Great Glen Way and Cycle Route in the village of Banavie, on the West Coast of Scotland just 4km from Ben Nevis, Fort William and the end of the West Highland Way in Scotland. 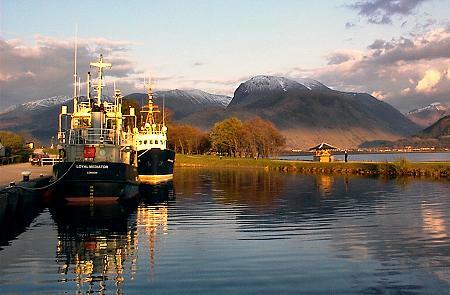 Hostel Holidays accommodation near Fort William the Scottish Highlands. For short breaks, weekend breaks, romantic breaks, relaxing holiday breaks. Quality backpackers accommodation in the Scottish Highlands, Scotland. BOOK EARLY - Extra Special Rate released to internet daily..! Book an 'Up-n-Doon' Guided walk up the Ben or around Lochaber. Contact your personal guide, Andy Davidson, on 07704980814. Mention 'The Goose' when you call. "Brilliant hostel. The staff are really nice and friendly. The location is beautiful and it is a really nice, clean hostel. One of my favourites so far. Brilliant hostel."